Post by Shannon Ambroson, Health Coach. This week I started my hybrid workout schedule--TurboFire and ChaLEAN Extreme. I need the weight training but can't NOT have my cardio, so this is so perfect. Chalene Johnson is super motivating and makes me feel like I am doing so well every time I push play ;). I'm doing this schedule totally on the Beachbody On Demand platform, meaning streaming all workouts from my phone or computer. 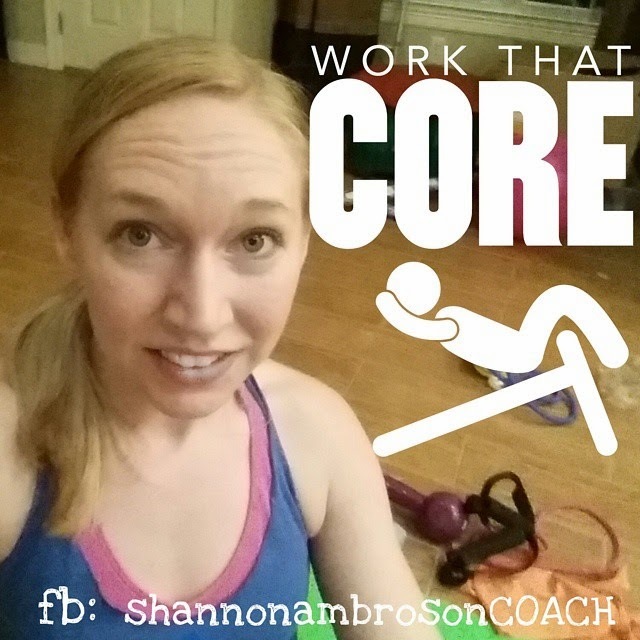 Tonight's workout was all about the core! Using a band is a bit foreign, but an awesome challenge! Have you ever used a band for workouts?? I wish I had saved the "bloopers" to show ya'll--it was hilarious trying to figure out how to use the band. Next time ;).